Me and My Car, Train, Boat, Etc. Road America Paintings done at Road America Race Track, Pontiac "Indian Uprising" show, and Fuelfed Coffee & Classics show. 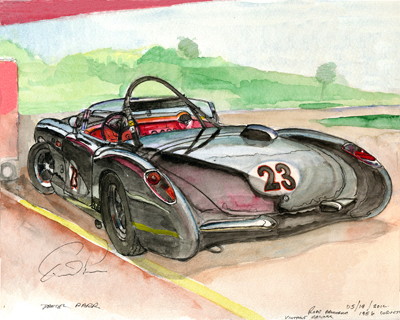 Fuelfed Paintings represent a group of collectors of classic European and American cars. Many of these paintings are now in the owners' private collections. Contact Richard Smyth at swing705@aol.com for a portrait of your special car. Samples shown on this page were commissioned.